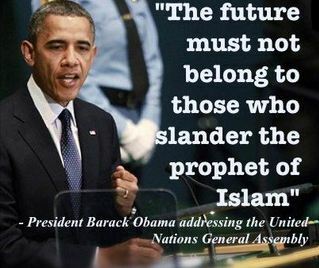 Obama would not ever consider using the name of Islam's prophet in a profane way. In fact, he has said as much. But the Holy name of the Son of God? Apparently, for the man who sat 20 years in Reverend Wright's church and calls himself a committed Christian, the blasphemy is not a problem at all. -W.E. Really? Obama lays wreath at Tomb of the Unknown Soldier on Veterans Day - Climbs the steps - and says "Jesus" as he enters the building.